Car loans can be availed on both new as well as used cars. The approval of the loan is quick and the documentation formalities are simple, easy and are taken care of by the car dealer, bank or financial institution providing the loan. Car buying has become very easy nowadays as one can pay only a fraction of the total cost and drive home on a four-wheeler. This is possible because there are many car loans available in the market. The tenure of the loan can range from 1-7 years depending on the choice of the borrower. The rate of interest on a car loan is on a fixed rate basis, that is, the rate will remain constant during the entire tenure of the loan, irrespective of market rate movement. The interest and principal amount are payable through EMIs. 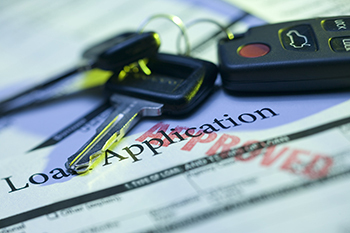 The rate of interest charged on a car loan ranges from 9-12.5% per annum. This is quite low as compared to personal loans. The amount of loan is usually 100% of the on-road price of the car. The maximum amount of car depends on the price of the car, subject to a maximum of Rs 1.50 crore.